I must get these Nutella Bars out of my house before I gobble them ALL up… by myself!!! That is the first thing I thought as I started to smell these little devils baking in the oven and it’s all thanks to Shari of My Judy The Foodie and of course The Secret Recipe Club. Before I get to Shari and Judy’s recipe however, I must urge you to go to Shari’s blog if you haven’t already. I know you’ll be as touched as I was to find out that the Judy in My Judy The Foodie was Shari’s mom whom she lost to breast cancer only a few years ago. Shari’s blog is an extremely loving tribute to her mother and her recipes and once you go and listen to their story (make sure to watch the video), I know you’ll be as charmed as I was to learn the story behind all the wonderful and heartfelt family recipes you’ll find there. 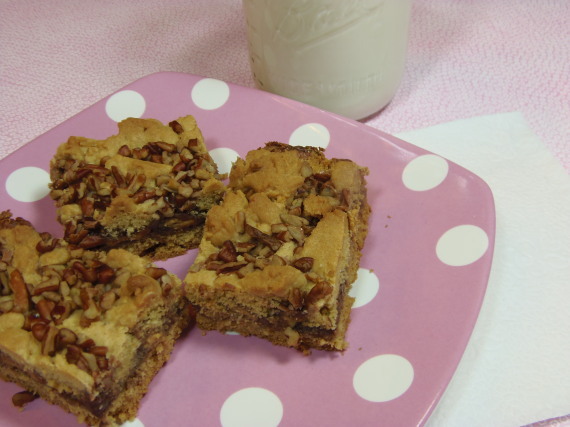 These cookies bars are by far some of the best cookies bars I’ve ever had! I urge you to try them in your own kitchen and who knows, maybe they’ll be a family tradition and a hand me down recipe you’ll treasure for many years to come. -In a large bowl, whisk together the flour, baking soda and salt. -In a large bowl with an electric mixer (or stand mixer), blend together the softened butter, brown sugar and the dry pudding mix until creamy. -Add in the egg and vanilla and mix until incorporated. 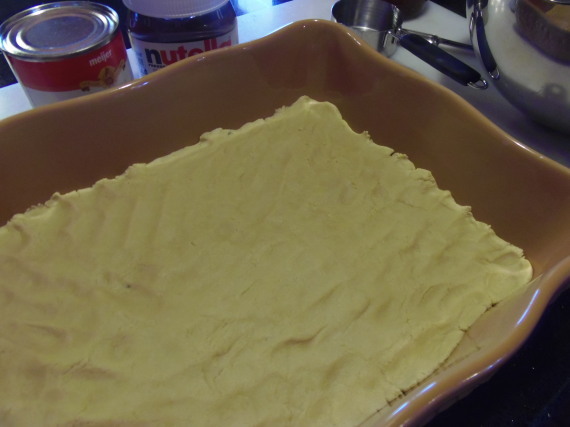 -Add the flour mixture into the butter mixture and blend until completely incorporated (the dough is rather stiff). -Prepare a 13×9 baking dish by spraying with cooking spray or lightly butter the pan. -Press half of the cookie batter into the bottom of the pan making an even layer. 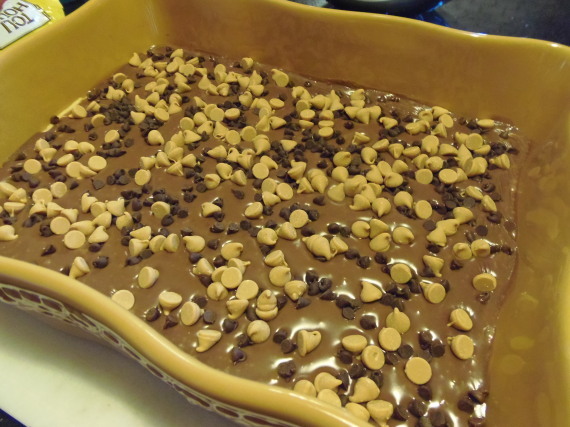 -Bake the cookie crust for approximately 13 minutes so the dough sets slightly. Remove from oven. 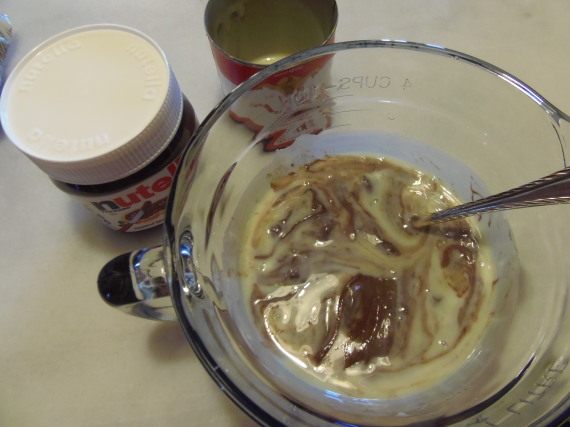 -Meanwhile, in a small bowl stir together the Nutella and the sweetened condensed milk. 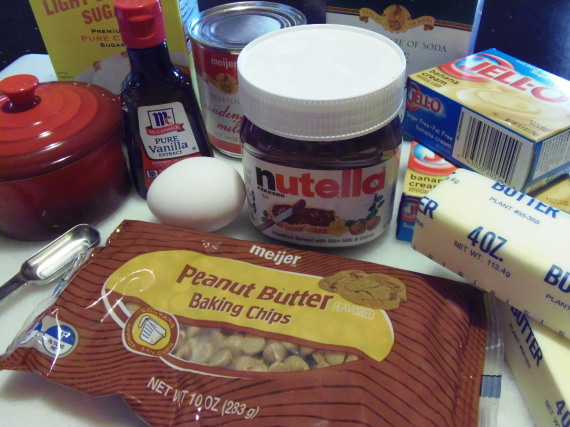 -Pour the Nutella mixture over the baked cookie crust and spread to evenly coat the bottom. -Sprinkle the peanut butter and chocolate chips evenly over the Nutella. 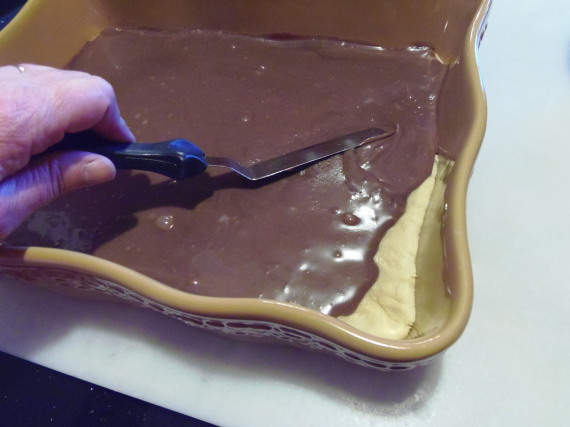 -Using the remaining dough, break it into small’ish pieces and place it randomly over the Nutella and the chips. 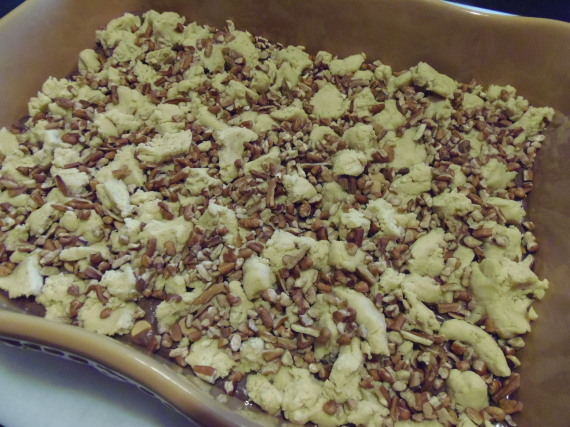 -Sprinkle the top with the pecans. -Bake for approximately 25-30 minutes or until the cookies bars are a lovely golden brown and the smell is about to drive you insane. -Cool completely and then slice into bars. -Enjoy them all for yourself (not recommended) or give them away to family and friends so they’re no longer a temptation you cannot resist (recommended)! I had her blog last year, remember having fun searching for recipes. Ooh, those look delicious and what a fun list of ingredients! Perfect! These look crazy, crazy, crazy, crazy good!!! I had Shari's blog a while back — love all of her recipes! I couldn't be alone with this yummy bar! I just have no self control (sad I know). But I have plenty of friends that like what I bake. I just have to get it out of the house quick. Great SRC pick. O.K., you've convinced me to bake them…not that it took much convincing. They do look scrumptious! 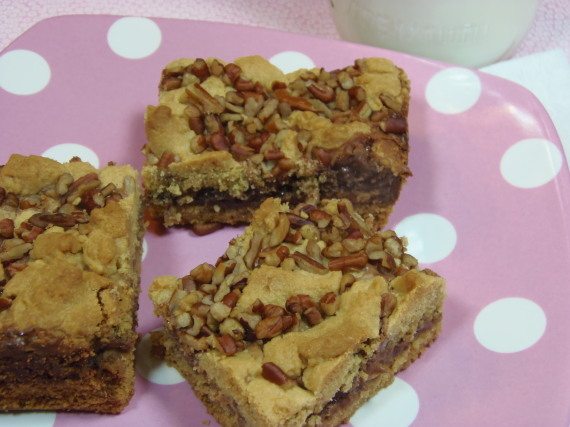 Mmmm…Nutella bars look yummy! Great SRC pick! I was wondering if there was a particular reason why you used sugar free pudding mix when there are no other sugar free items in the recipe? Yum, your nutella bars look and sound so good! Really its look awesome…… lovely decor idea..